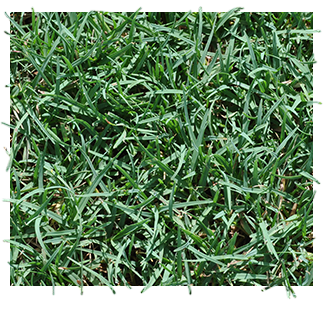 If you are looking for a Bermuda grass for your home, this would be our recommendation. Celebration Bermuda grass will truly touch off a beautifully landscaped home. If you like the look of “golf course” grass, this is the Bermuda for you. There is often a misconception that Bermuda requires more care but with the proper mower (reel mower) and a little education, this grass can require less care than most. Drought tolerance is a key reason to consider this grass. In drought studies in San Antonio, Texas Celebration was the number one rated grass of all the grasses rated after no irrigation and no rainfall for 60 days, and after an additional 30 days (with irrigation being provided) it still had the best color of all. In addition to drought tolerance, Celebration is also known for its dark blue-green color and ability to take foot traffic. Celebration sod is what’s used on the field of the Buck’s stadium. Thinking about grass for a dog park? Think Celebration! Celebration is often chosen for parks, sports fields, golf courses, colleges for its excellent wear tolerance and ability to quickly recover from injury. For the family that likes to really play around in their backyard, the consummate golfer, soccer player, or those of you that just like the looks of a more proper English garden, this is a great choice for Tampa Bay. Celebration likes full sun but can take a little bit of shade – more shade than other types of Bermuda.